Another custom engagement ring masterpiece just left our facility, but not before our talented photographer snapped some lovely images of the ring. 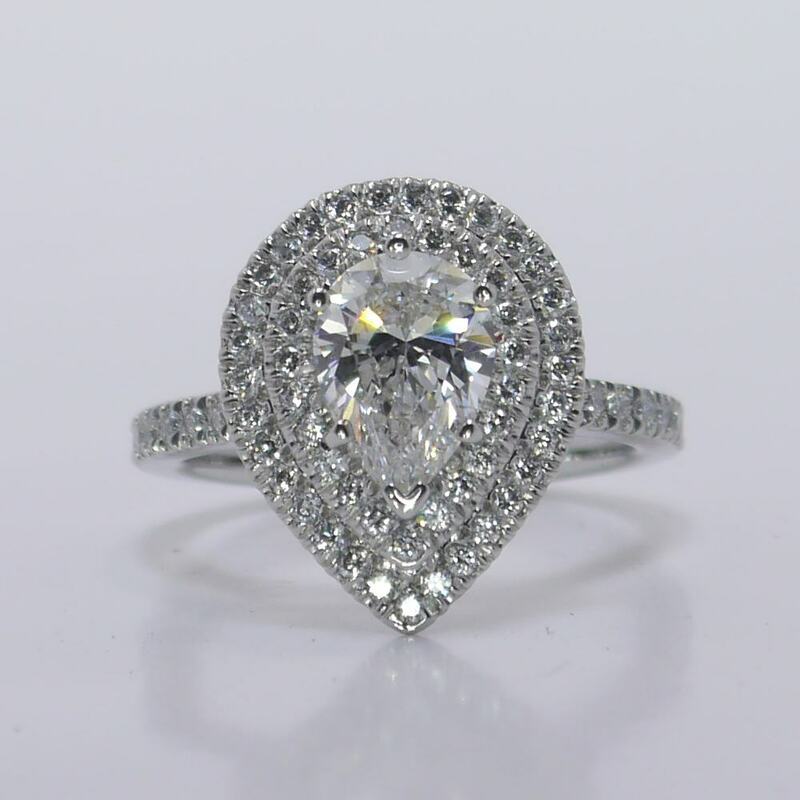 We just had to share this exquisite ring with our dear customers. 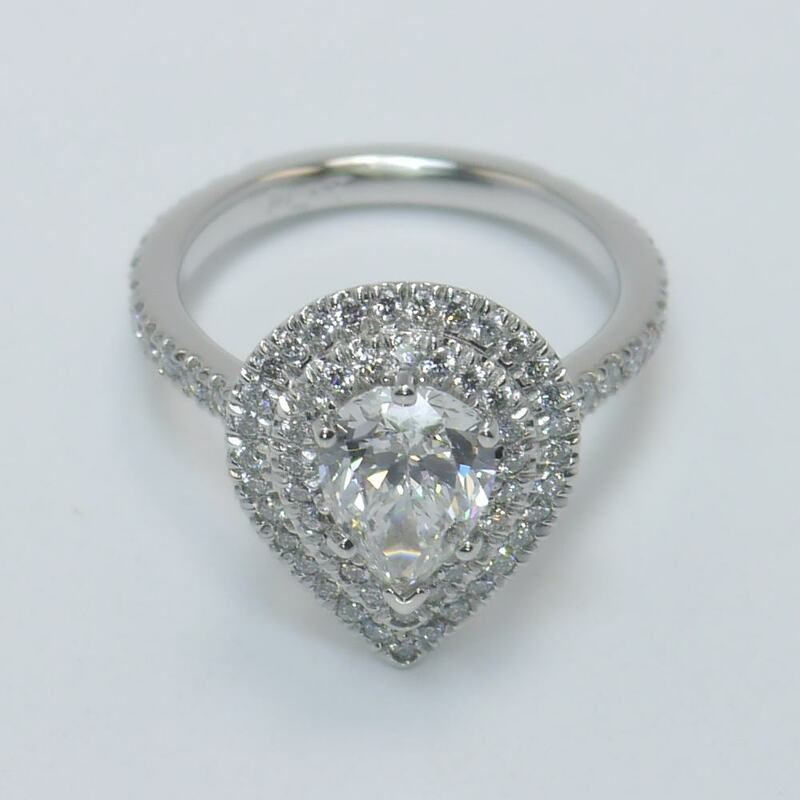 This custom ring is set in 950 Platinum and features a sparkling 1.02 carat, E color, SI1 clarity Pear-Cut Diamond, GIA certified. 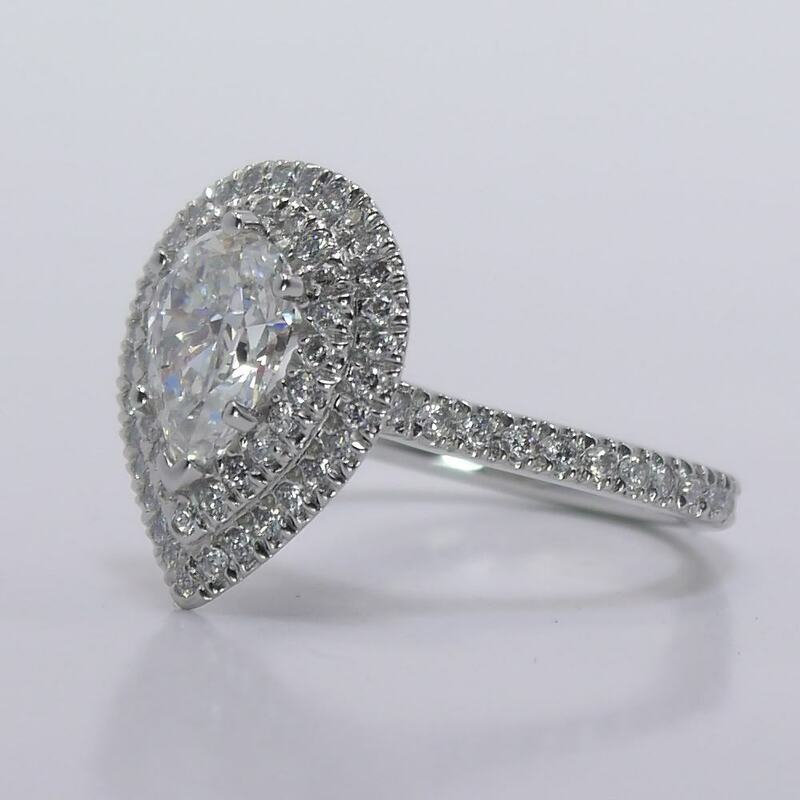 The Pear-Cut Diamond is encircled by a double halo of pave diamonds, which make the stone appear a lot larger in size. 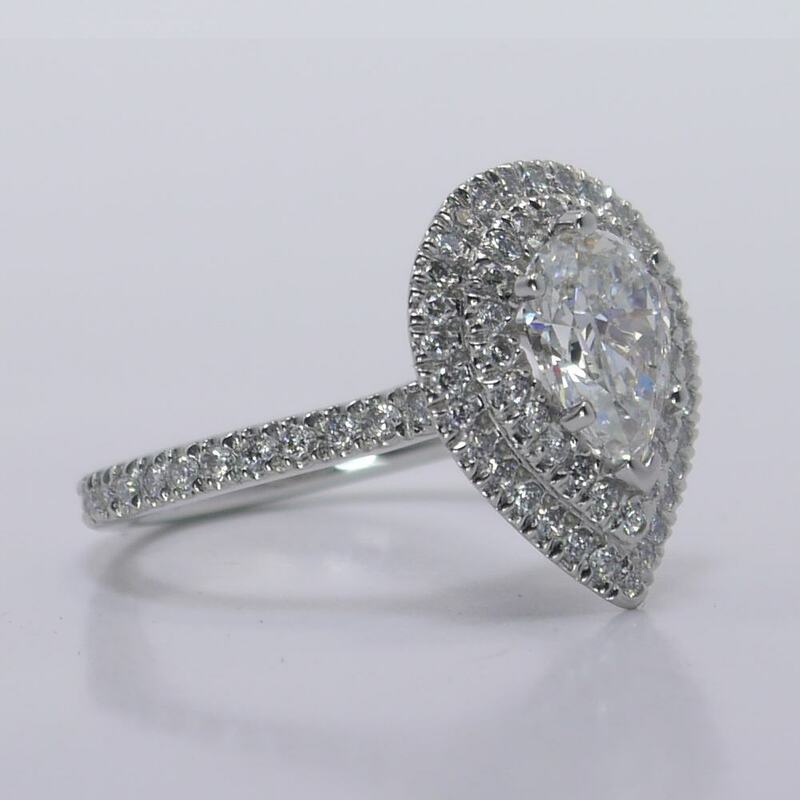 Beautiful pave diamonds adorn the band. 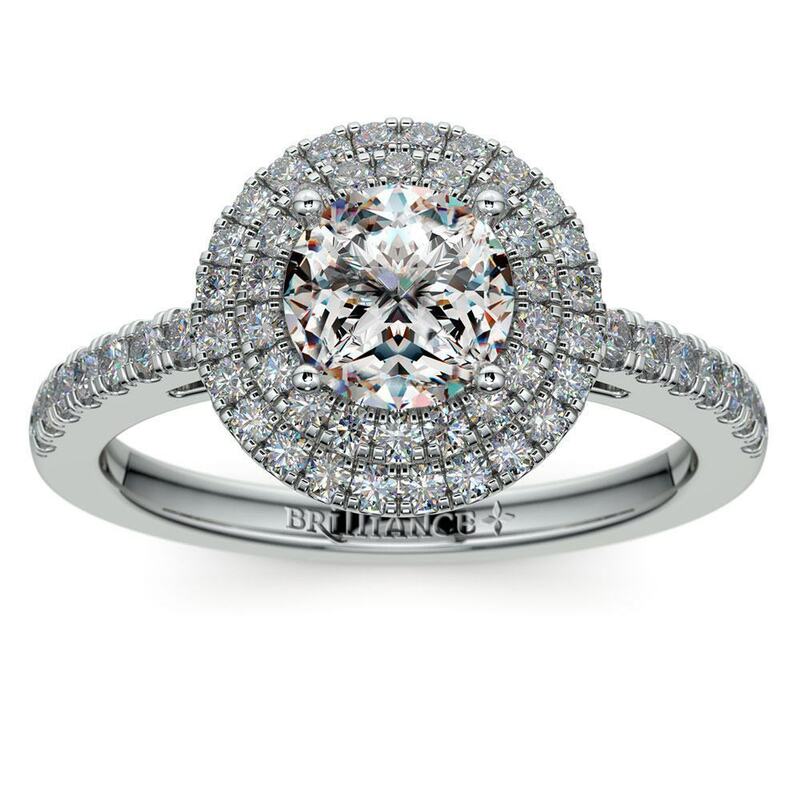 To learn more about our custom engagement rings, please click here, or give us a call at 866.737.0754.